Our survival depends on your generosity. If you value the film medium and would like to help us continue programming exciting works, please consider making a donation. Film on Film Foundation is a sponsored project of Fractured Atlas, a non-profit arts service organization. 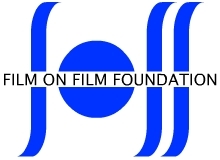 Contributions in behalf of Film on Film Foundation may be made payable to Fractured Atlas and are tax-deductible to the extent permitted by law. Make an online credit card donation of up to $5000. If you can, please also send an email to donations@filmonfilm.org to notify us of your gift. Donations by check of $1000 or more will require that you sign a Major Gift Letter, which we will provide.